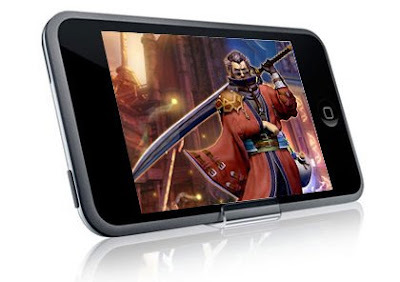 New platforms such as Apple's iPhone, Nokia's N-Gage and Google's Android will spur the growth of the mobile gaming market, according to media research firm Screen Digest. Apple alone accounted for $100 million in gaming revenues in the second half of 2008, translating to 10% of the US mobile games segment. The report contends that new smartphone platforms will pick up the slack, although games for new platforms represented only 15% of mobile games revenues in North America and Europe during 2008. Screen Digest cites Apple's combination of appealing hardware, large developer community and easy-to-use retail environment as the keys to its lead in the mobile gaming sector. And for major publishers, the greatest impact of the iPhone and App Store is not the additional revenues generated via game sales but rather the overall effect of the App Store's business model on the wider mobile games market. It’s no secret that mobile gaming has really been around since applications took off, it’s also no secret that the iPhone revitalised the almost-dead application market. With so many players charging in the new arena, I reckon you can expect to see mobile gaming become a significant percentage of the overall gaming market in the next few years and Apple will certainly be one of the successful player up there.